Just in time for “Sailor Moon”‘s 20th anniversary, the musicals have been revived! The dream of girls everywhere has been realized as this iconic series comes back with an all-female cast. Here to talk with us about the revival are the editor to the original manga series and the new musical producer! “Moon Prism Power! Make Up!” You can shout that catch phrase around any girl in their 20s or 30s and get an instant reaction. Just as the girls who have turned into adults over these last 20 years, so too has the mood matured for the brand new musical revival created in celebration of Sailor Moon’s 20th anniversary, debuting on stage this September! “Pretty Soldier Sailor Moon” began in the girls monthly comic publication “Nakayoshi” magazine beginning in February of 1992, created by Naoko Takeuchi. That same year in March, an anime series by the same title began to broadcast all over Japan, becoming a smash hit almost overnight. In 1993, the first musical production for the series debuted, with a live action drama series debuting ten years later in 2003. By the time the first run of musical productions ended in 2005, there had been over 27 different productions, with 847 performances, making it one the longest running stage shows. “Sailor Moon” has been beloved by girls world wide, and the effect the musicals had on girls domestically has been palpable. Now with an all new cast and staff crew, the series is about to start over fresh once again! 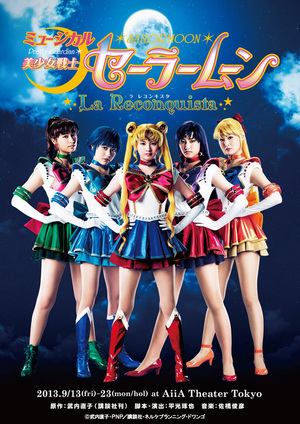 Together with the chief editor for the manga, Osano Fumio, and the producer of the new musials, Kataoka Yoshiro, we are going to take an in-depth look both at Sailor Moon’s 20th year anniversary and the revival of the new musical for “Pretty Soldier Sailor Moon – La Reconquista”. Even after 20 years, the passion and love for “Sailor Moon” continues on. Can you share with us any stories that happened behind the scenes during the series original production? During the production of the comics, you were given the pet name “Osabu” by Naoko Takeuchi, and Mr. Osano, illustrations of you were included in many of her liner notes, so you were quite influential. 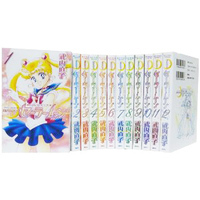 Please share with us some of your memories from the period during the manga serialization of Sailor Moon. How long after the original concept for Sailor Moon was pitched did serialization begin? Osano: About three months. Initially it was decided that the anime broadcast would begin about 2 months after the comics serialization, meaning that we had to nail down all the specifics for the story to “Sailor Moon” immediately. At the time, Naoko Takeuchi was still finishing up “The Cherry Project”, and so all the work for Sailor Moon was done at the same time. I remember we used to have frantic meetings every day, trying to figure out how to manage it all. ――So “Sailor Moon” was created in just three months?! Almost more like instantly. It was originally intended to be a slapstick comedy, but we were careful to keep its sweetness in place too. Although that sounds like a contradiction, we wanted the series to have both funny and cute parts to it. And I think because we were successful in pulling that off that “Sailor Moon” became such a widely beloved series, with tons of fans world wide. Of course, the biggest reason that the series became a hit was because Naoko Takeuchi poured so much energy into creating it, plus the timing was perfect – it became a serious international force to be reckoned with for all those reasons, I think. Mr. Kataoka, I know that this production is your first real involvement with the world of “Sailor Moon”, but I don’t suppose you have any anectodes to share from back in the day? Kataoka: Back then, I used to read “Nakayoshi” every month, and when “Sailor Moon” first was published as a serialization, I thought, “This is a really great comic.” Five united girls fighting against evil. The strength and friendship of the girls made a huge impression on me. And then later, it became a musical. 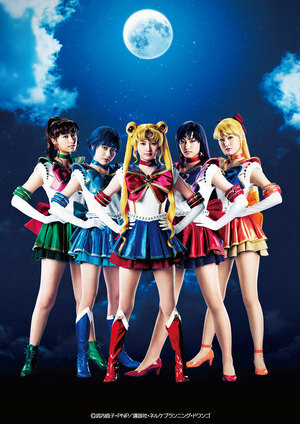 And in the musicals, the sailor soldiers were pretty and strong too, and of course the stories were wonderful as well. The original “Sailor Moon” anime series may have come together in just three months, but would you say that it’s been the same way for this new musical? Or has its creation been slower and more deliberate? Kataoka: I don’t really have any clear memories of of my business meetings. (laughs) For this upcoming musical we don’t intend to stray from the original creation at all, so we’ve been taking a lot of direction. The plot is based on volumes 1-3 of the comics, featuring the story of the Dark Kingdom, with only one new plot point, so the stage story will still have a unique aspect. Osano: The screen play writer and director, Hiramitsu Takuya was also in charge of some productions between 1994 and 1998, so fans are already familiar with his style of work. I was actually just reading about that fact for the first time today, but, from what I understand his sales were great, and his productions were good. So we’ll be able to expect a great original musical from him, which fans of the anime will also enjoy. Who are the 5 girls playing the Sailor Soldiers, really? Back on August 4th some of the cast of the new production were presented to the public for the first time. How was the fan reaction? Kataoka: When it came to casting, I was pretty uneasy. Of course during audtions, I thought to myself, “Is that girl really representative of Usagi?”, and when she was presented to the fans in public, I was nervous too. During the live broadcast event on NicoNico Douga, during the moment Satomi Ookubo went on stage, in that instant I knew – “She’s Usagi!” “She’s perfect!” I saw everyone’s comments on the screen supporting her, and I was so, so relieved. Osano: We’re in a new era now, but there are some key points that we can’t change in the series, and there’s of course also people who really want to see the new anime and musical continue on in the same vein as the original series. So when those fans accepted our new vision, I was really excited. I was reading some of the fan comments during the announcement of our new production up on the screen, and they seemed to accept me and what we’re doing here. I was really relieved as well. 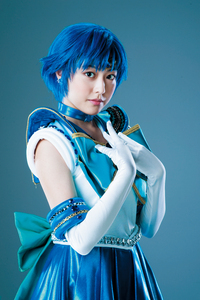 Mr. Osano, we all know you’re a huge fan of Mizuno Ami (Sailor Mercury), so are you satisfied with the casting choice that was made for her for this new musical? Osano: Why am I being forced to only give my opinion about Ami? (laughs) This time, the actress for Mercury is Matsuura Miyabi, and she knows a ton about “Sailor Moon”. She’s just like Sailor Mercury, because out of all the sailor soldiers she’s the most knowledgeable, she’s a leader in that regard, I think. Mr. Kataoka, which sailor soldier is your favorite? Kataoka: That would be Sailor Jupiter (Kino Makoto). When I was sitting with the producer during the auditions, I felt like I was being crushed to death by having to find someone who would accurately represent each individual character – it was really tough. 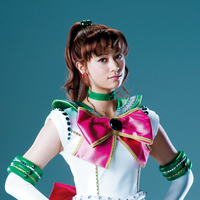 But only with Sailor Jupiter did I have a strong opinion on who we should go with in casting. I was worried that Naoko Takeuchi wouldn’t agree with my choice. But actually, she said, “Hey, it’s all right. I agree with you about the choice of that girl (Takahashi Yuu) for the role”, so when she gave us the OK I let out a big sigh of relief. Osano: From the moment I first saw Takahashi Yuu from across the assembly hall, I knew that she was born to one day perform as Sailor Jupiter. But on the contrary, when I first saw the actress Kanon Nanaki’s make up (transformation) sequence, I didn’t know she was going to be so perfect as Sailor Mars. 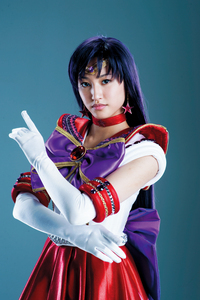 To be honest, when I was at the auditions with Naoko Takeuchi and Mr. Kataoka, and they decided on the girl who is playing Sailor Mars, I thought to myself, “I wonder how she’ll do”, until I saw her in costume. I was astonished during the auditions at how both Mr. Kataoka and Naoko Takeuchi were able to make such great selections. Kataoka: Ms. Nanaki is just 16 years old, making her the youngest member of the cast. She’s still childish at times, but when we photograph her, she has a steely rawness to her…and it’s fun to see her develop and mature as we go along. 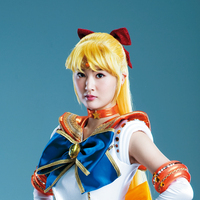 Sakata Shiori as Sailor Venus (Aino Minako) performed for the first time in her new role on her 22nd birthday. She’s has some experience with this kind of stage work before, so didn’t have to scrutinize her as closely as some of the others. In the original Sailor Moon, Sailor Venus was designated the leader of the sailor soldiers, right? 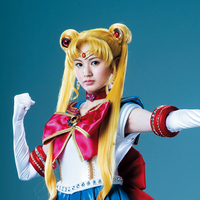 As for our protagonist, Sailor Moon, how do you think her actress Ookubo Satomi performs? Osano: There’s no way anyone could dislike her, she is the epitome of the character Usagi. Kataoka: She really is charming, she’s well-liked by everyone. Even her love interest, Tuxedo Mask (Chiba Mamoru), played by Yamato Yuuga says that Satomi is realy lovely, just perfect for the role. Osano: It’s like they are really in love. (laughs) Our new Tuxedo Mask already loves Usagi, it’s like it was all meant to be. For the first time in “Sailor Moon” histoy, the role of Tuxedo Mask is being played by a woman. Why is that? For the first time in Sailor Moon history, these new musicals feature a woman playing the role of Tuxedo Mask. Mr Osano, when you heard about this casting decision, what were your thoughts? Osano: At first, I was just shocked. But when I heard that Ms. Yamato had been selected to play Tuxedo Mask, and she got the OK from fans, I thought, “She was definitely the right choice.” One thing is for sure, Yamato Yuuga looks great as Tuxedo Mask. Kataoka: Back when I started working with Shirota Yuu, he performed as a really good looking, stylish Tuxedo Mask. I thought to myself, “Who could pull off that kind of style?” I wasn’t sure we’d find anyone that could live up to my expectation in that regard. But when I heard for the first time, “A girl will play Tuxedo Mask”, I can only vaguely remember that – but I do remember the moment I was introduced to Yamato Yuuga. In an instant, I knew, that she was right for the role. Having decided on her for Tuxedo Mask, we moved forward with casting for the other girls, with Ryo Saika as Zoicite, Ruuto as Jadeite, Koro as Nephrite, and Komatsu Misaki as Kunzite. The ladies chosen to play the 5 Sailor Soldiers, along with Tuxedo Mask and the Four Generals certainly are a perfect image of their characters. September 13th (Friday) the performances will begin! Please give your final messages to our readers. Kataoka: The musials are going to be awesome, so be sure to come and see them. It’s a work made by a woman, performed by women, so really it’s a prodution made entirely for women. Of course, it won’t be a problem if men want to attend too. (laughs) If you liked “Sailor Moon” back in the day, I’m sure you’ll find that it has the same feeling to it as the original, and that you’ll enjoy this one just as much as the old musical productions. Osano: This new musical is the first of our creations in our “Sailor Moon 20th anniversary project”. We did get behind schedule, but we’re sheduled to release a “complete edition” of the manga this fall, and this winter we’ll be starting the broadcast of the new anime series. Naoko Takeuchi has said, “Everyone’s eyes are so intently focused on this. I want to give this my best effort.” and so she’s been working really hard. We sincerely thank you for your patience, and hope you will enjoy what we have in store. The girls who loved “Sailor Moon” 20 years ago have all grown up into adults, which has been fascinating for me to see. For the “Sailor Moon 20th anniversary project” of today, we have to appeal to those grown women, so our “Moon Stick” and “Space Time Key” accessory charms are made with the same motifs as from way back when, but with a more grown up feel to them to appeal to this target audience – especially for items like the S.H. Figuarts “Sailor Moon” collection and others. All of those items are now on sale. So ladies, please oblige me and come to the new musicals, merchandise in hand, with the same spirit you had for the series as children on September 13th (Friday) and please let me know your thoughts about the new performance? Nope, you’re not crazy…he was a perfect Tuxedo Mask! I’m not on board with the all-female cast (I REALLY didn’t like it when the Shitennou were mostly female in the 12th musical, this is like a nightmare compared to that! LOL) but we’ll see. I’m a huge fan of the Takarazuka Revue, so I’m all for an all female cast. Yuuga has the acting chops and years of experience, so she’s more then ready to play Tuxedo Mask.